Synthetic Gypsum Based Self-leveling Compound especially suitable on all gypsum and cement based substrates as well as on mastic asphalts. Designed for refurbishment work in interior areas. 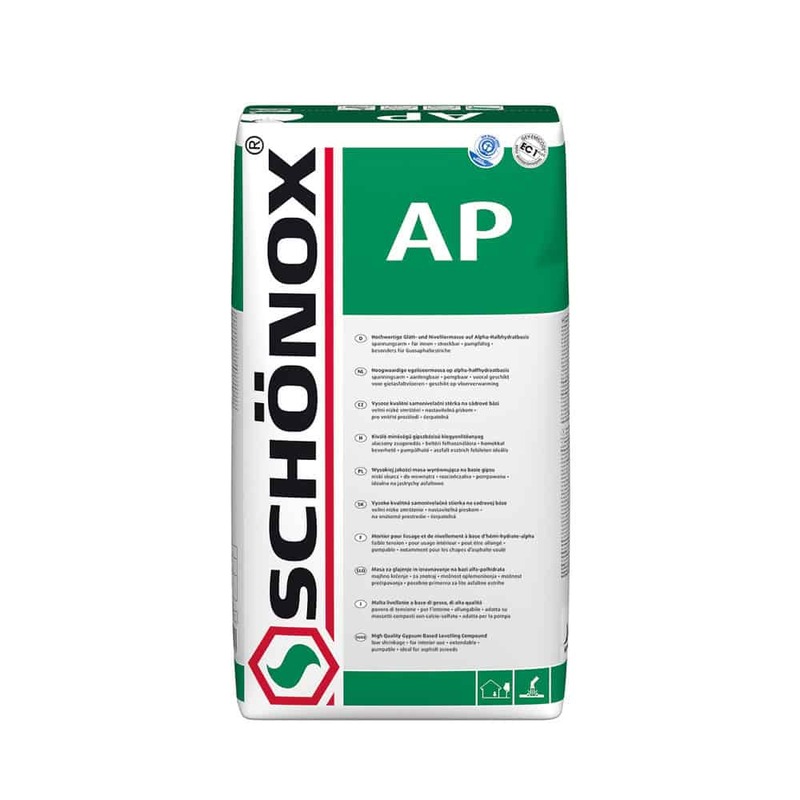 Schönox AP can be installed up to 2″.